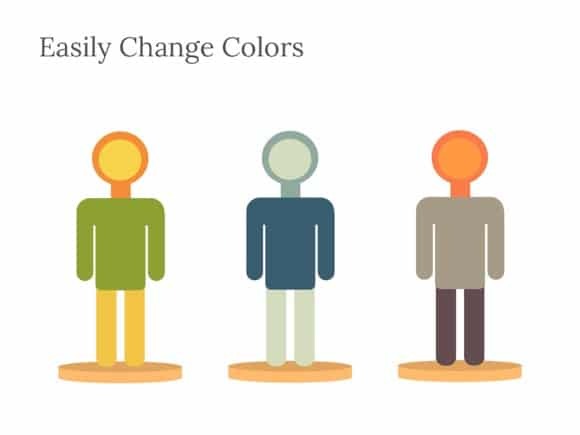 People Shapes PowerPoint template - FREE! This is free people clipart, which contains many different people icons that were built in PowerPoint program. All shapes and details inside this theme are vector based, so you can quickly change and modify icons color, resize separate elements and so on. 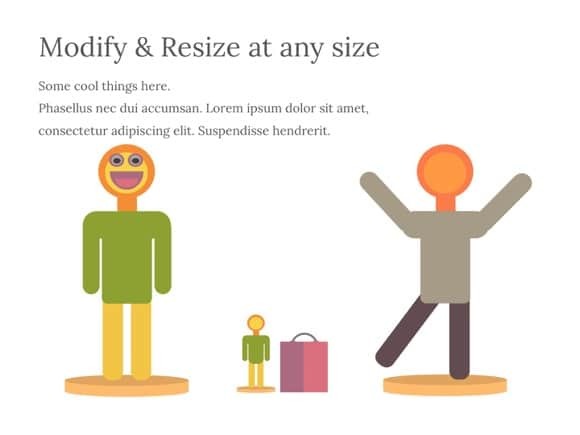 Just copy-paste these small people icons to your own PowerPoint presentation and make it alive! 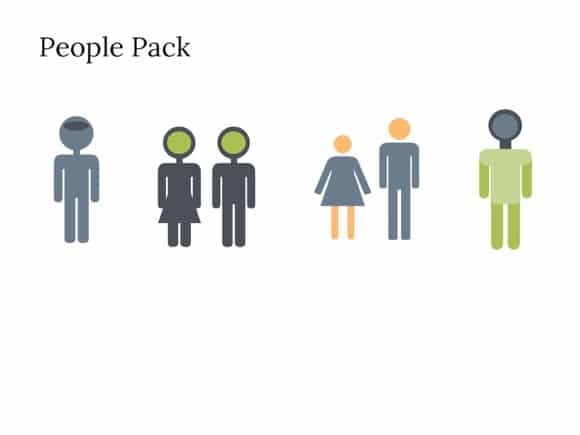 Download this PPT people shapes pack for free.